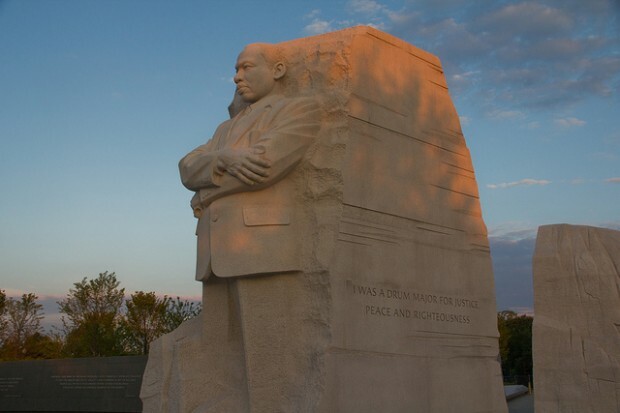 Poll: Should MLK Memorial Quote Be Changed? The controversy over the quote on the Martin Luther King Jr. Memorial isn’t over. National Park Service plans to change the quote on the side of King’s statue is drawing criticism from the monument’s executive architect and others. If you want to say that I was a drum major, say that I was a drum major for justice. Say that I was a drum major for peace. I was a drum major for righteousness. And all of the other shallow things will not matter. Some, including poet Maya Angelou, have criticized the paraphrased version, saying it makes King sound arrogant. The monument’s architect says the existing stone can’t be matched and changing the quote “would essentially deface the monument,” reports WAMU 88.5′s Elliott Francis.